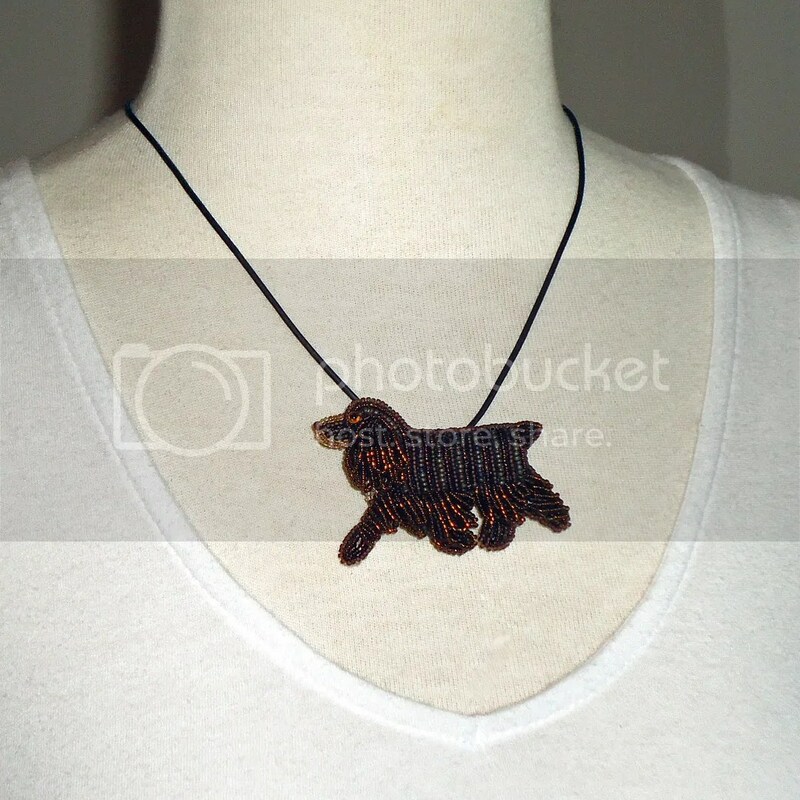 Bead Embroidered Westie Pet Portrait + Spring Sale! Happy Spring! 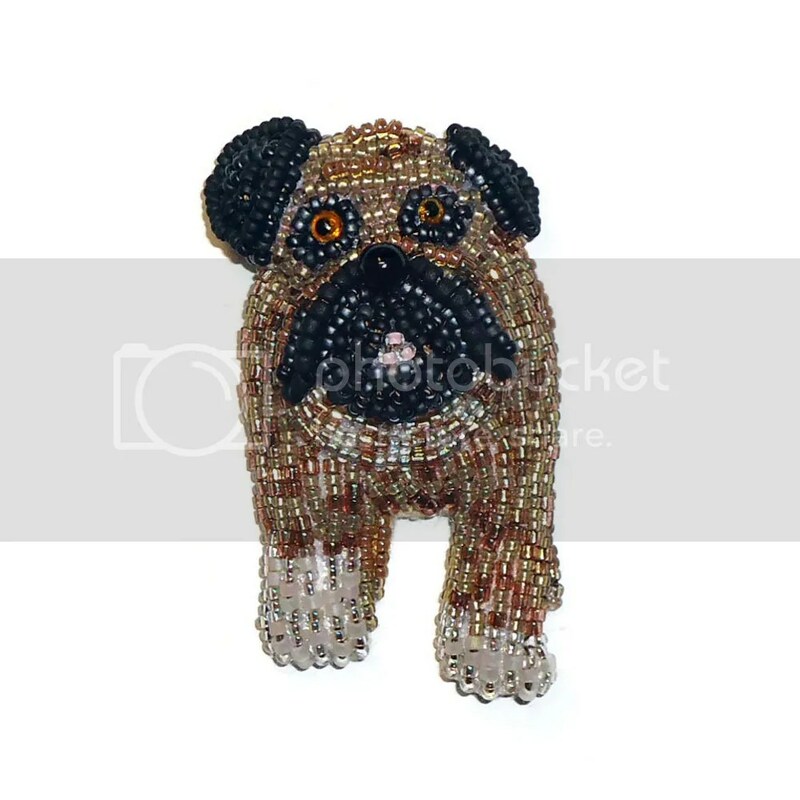 There is a new beaded pet portrait available for sale in my Etsy shop. A West Highland White Terrier! 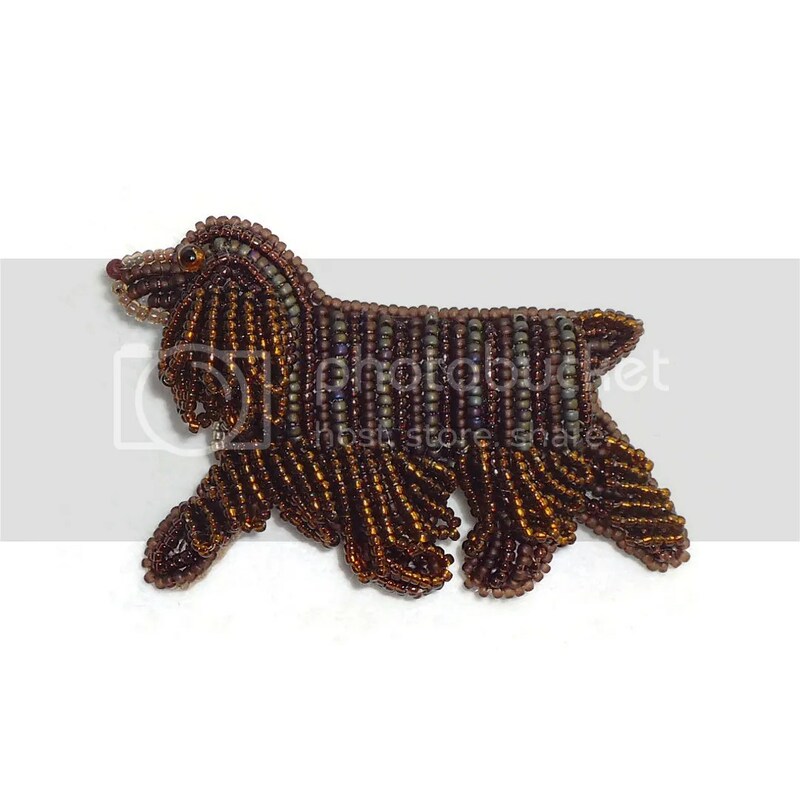 This cute little dog was created by stitching tiny glass seed beads to felt (2-3 beads at a time) using a strong nylon thread. White beaded fringe was layered using Japanese size 15 seed beads. The beaded fringe actually moves to reveal more seed beads beneath! 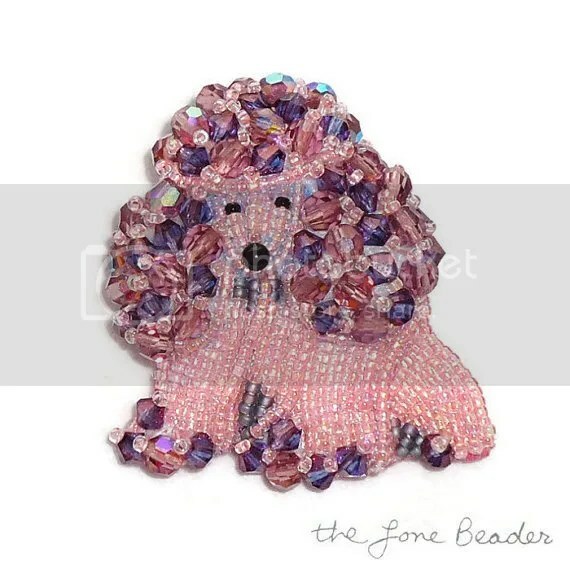 Several different shades of white, gray, black & pink beads were used. This pooch is also wearing a tiny sterling silver heart charm on his collar! Beadwork was sewn to a piece of dark blue Ultrasuede, and mounted in an 8×8″ white shadowbox frame. Piece is signed on the matte and it is ready to hang! 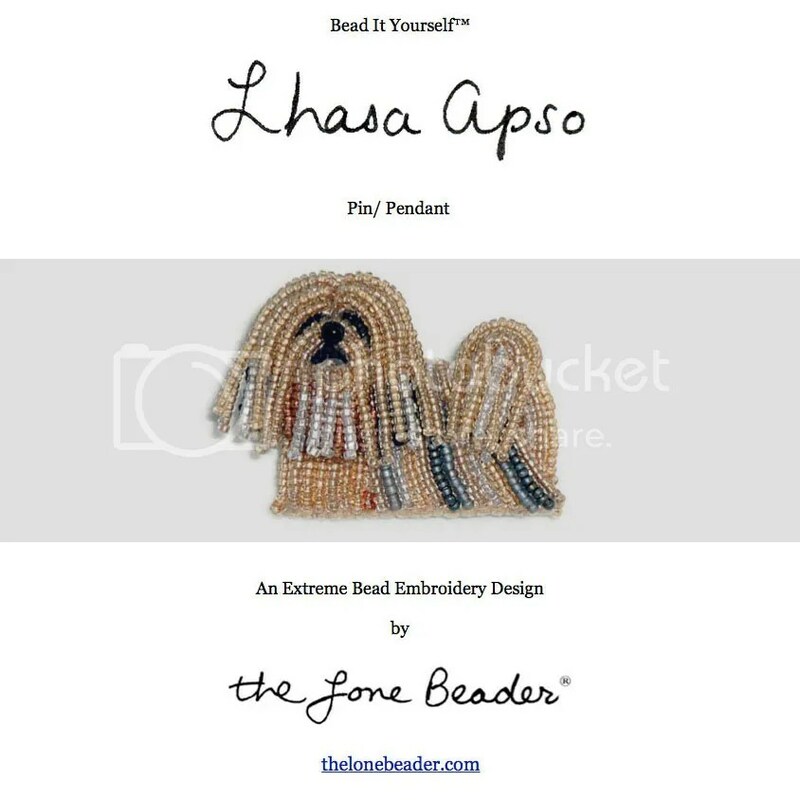 If you are interested in a custom beaded pet portrait of a different breed, please view my Etsy shop for more details. 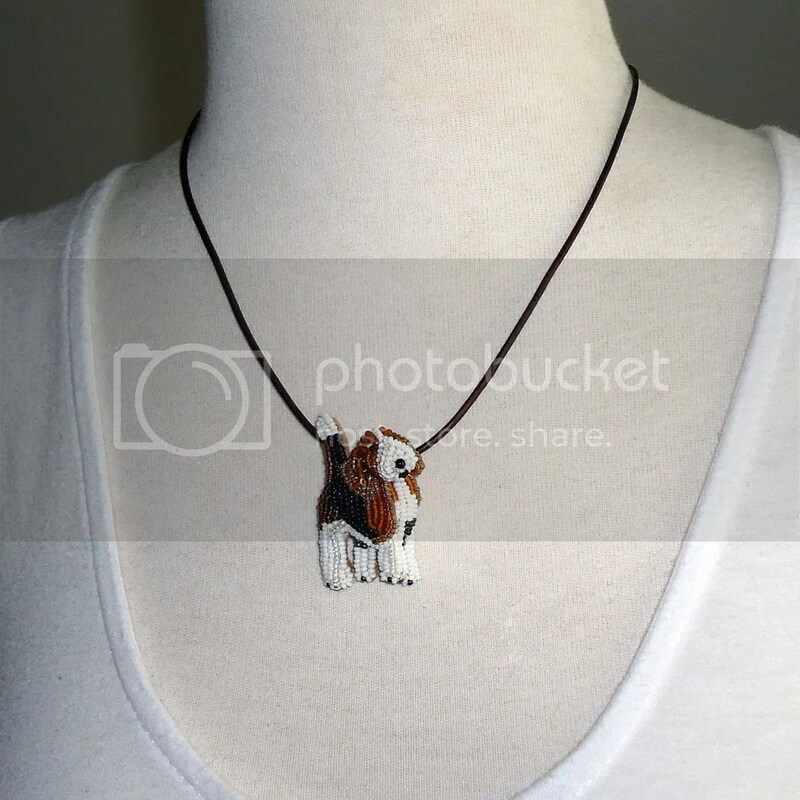 This weekend, I listed a brand new beaded dog pendant in my Etsy shop – a tiny Beagle! 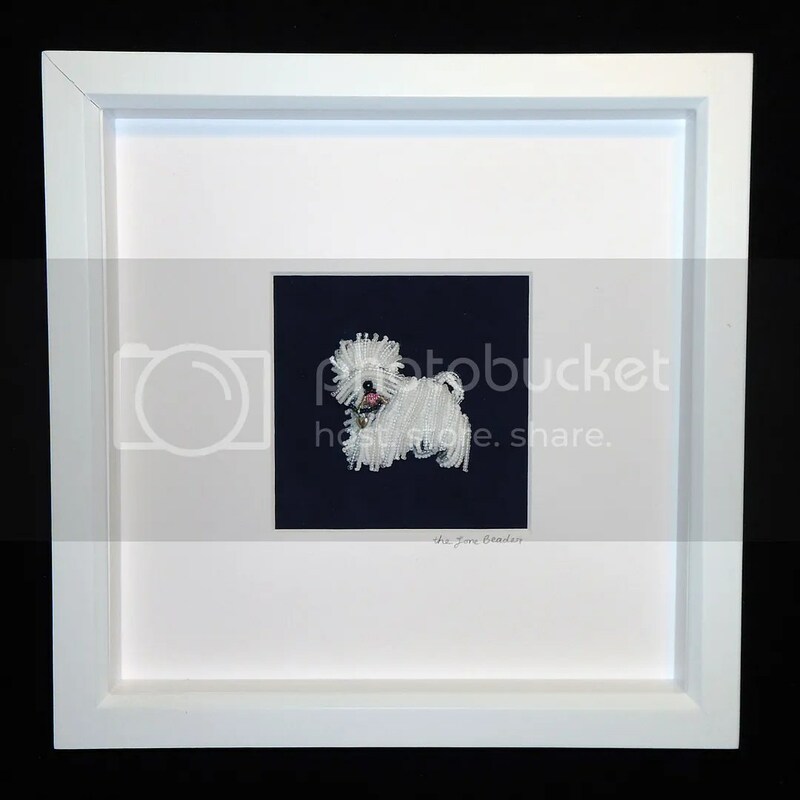 This piece was inspired by Miss P, the adorable little dog who won Best in Show at this year’s Westminster Kennel Club Dog Show!